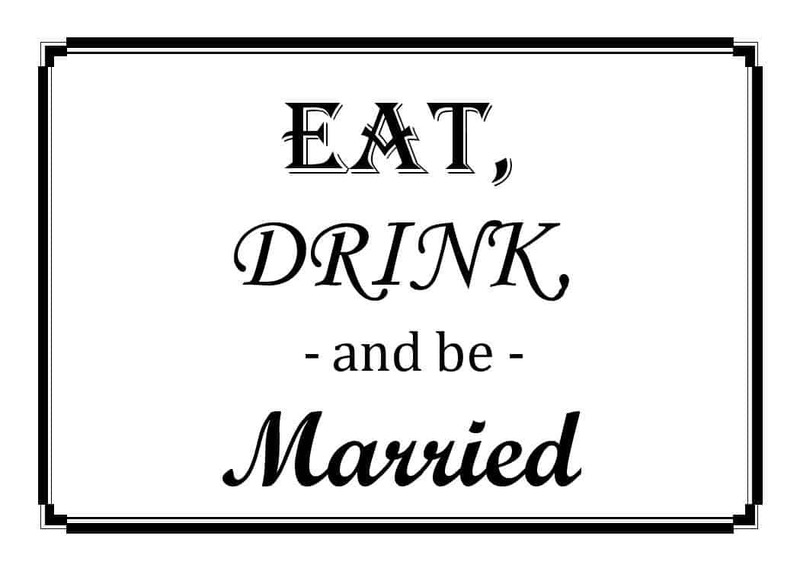 So my little brother is getting married next May. I can’t believe it. I was 15 when he was born and he’s always been my little brother! Now he’s all grown up and getting married. I’m so happy for him that he has found happiness in his bride-to-be! 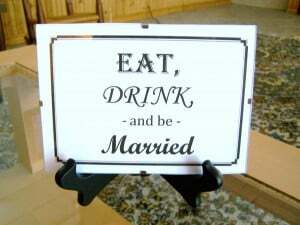 We recently had an engagement party for them and the theme was Eat, Drink, & Be Married. Cute, huh? I thought so! Anyway, I found some items with this saying on Etsy, which by the way is a fantastic website for handcrafted and vintage goods. However, I was short on time and needed something quickly. So I decided to take it upon myself to make a sign. At the party, this was placed next to a small black bud vase with white roses. It looked beautiful and very classy. 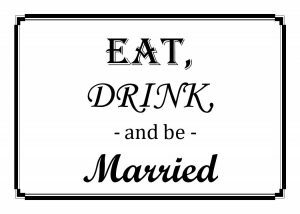 If you don’t want to print this out, but want to create one yourself, I used Algerian font, size 67 for the word EAT, Monotype Corsiva font, size 67 for the word DRINK, Cambria font, size 36 for the words – and be – , and Script MT Bold font, size 67 for the word Married. 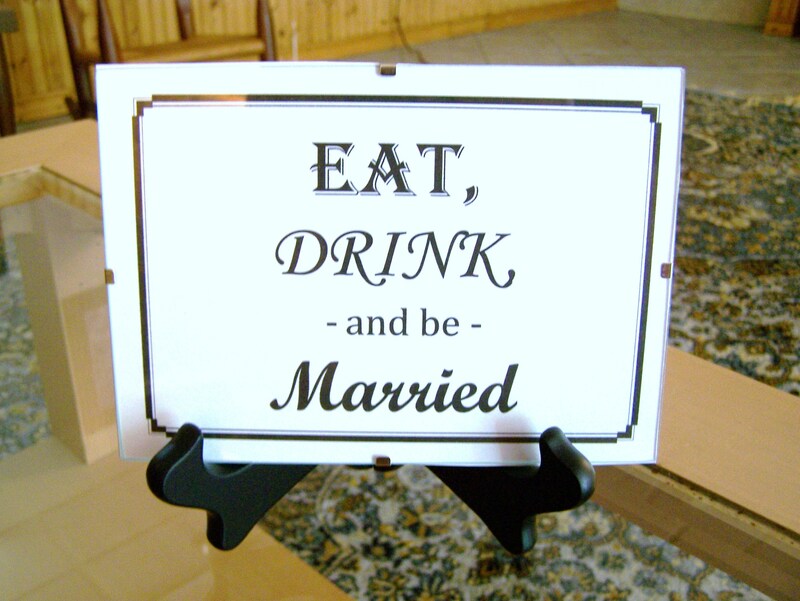 I also made table tents with the same saying on them. 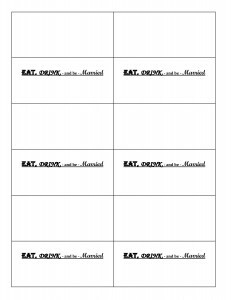 Feel free to print this out as well. 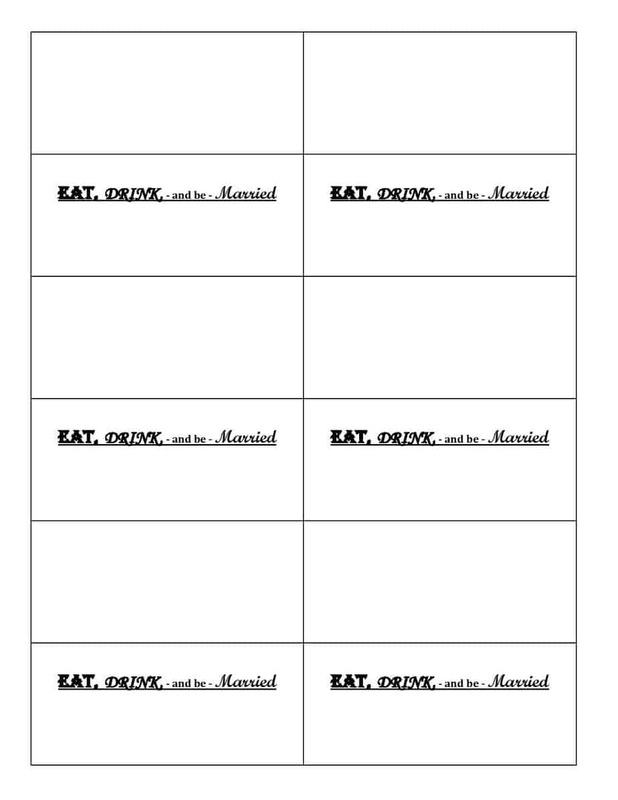 You can write your food/drink items on these table tents using the theme Eat, Drink, & Be Married.